With the launch of medilogAR, SCHILLER is releasing the latest generation of long-term ECG devices. Record longer, edit less: these are the key advantages of medilogAR. With a recording time of up to 14 days and atrial fibrillation/atrial flutter detection in zero seconds, this Holter is the must-have for discerning and cost-conscious practitioners. Thanks to the dual-battery concept, the patients can be screened for more than 14 days without having to see the doctor to change the batteries. The eco-friendly internal battery can be recharged via USB and runs for more than 7 days. With a standard AAA battery added, the runtime can be doubled, with automated AF detection. medilogAR scans for atrial fibrillation/atrial flutter by directly looking for P-waves, just as a cardiologist would. 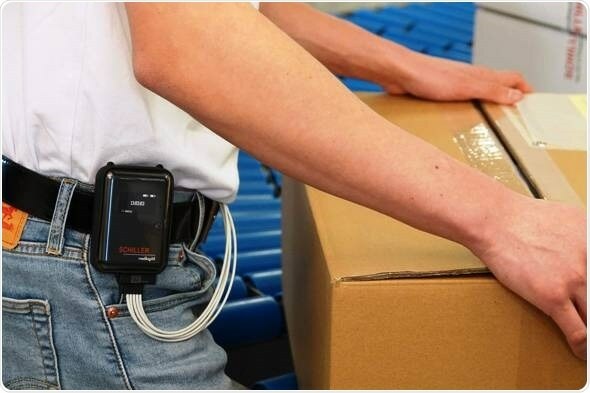 This is one of the engineering highlights of this Holter solution. The medilogAR Holter recorder features a superior resting ECG grade 32,000 Hz sampling rate on 3 channels. This is used for true P-wave analysis, sophisticated artifact suppression and motion detection, enabling a speedy evaluation. The analysis is carried out using the renowned medilog® DARWIN2 software. Thanks to ECG-derived respiration recording, the medilogAR is able to screen for potential respiratory episodes during sleep. The optional SpO2 sensor, connected via Bluetooth, allows for additional respiratory information.